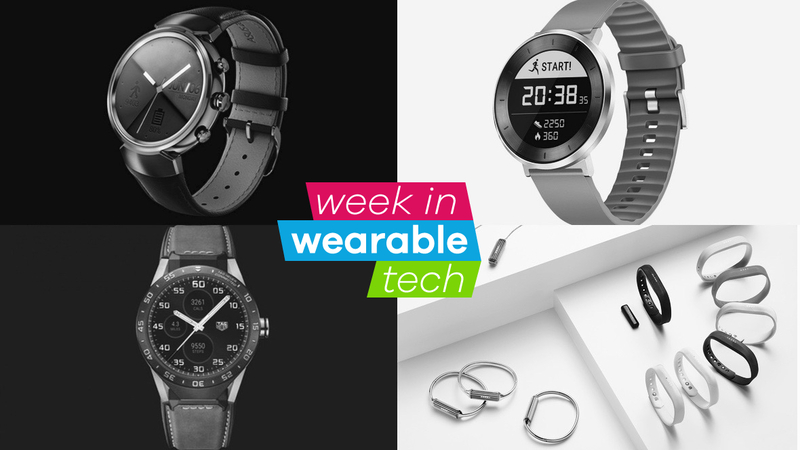 Welcome to the The week in wearable tech, our compendium of the biggest and most important stories from the week. If you need to catch up on all the big Wareable news this week we've got you covered. From tons of release dates to more Fitbit woes and expensive Tag watches, we've rounded up everything you need to know in one place. Here's the big wearable tech headlines you need to know about. The swanky looking new Asus ZenWatch 3 is landing 11 November for the low cost of $229. It's ditched the Apple Watch Series 2 look to join the circular likes of Motorola, LG and Huawei. At just 10mm thick, the Zenwatch 3 comes in multiple styles including rose gold, gunmetal and silver. It's also IP67 water resistant, matching the ZenWatch 2. In terms of battery life, you can expect to get two days from the 341mAh pack, which is the current norm for Wear watches right now. We'll be sure to have a full review up soon. In the meantime, check out our guide to the best smartwatches and, of course, the best fitness trackers. We recently noted that fancy analogue smartwatches are slowly dipping in price but that's not the case with Tag Heuer. This beauty is a whopping $9,900. The expensive hardware is a solid, 18-karat rose gold Connected Tag complete with Android Wear, powered by Intel Atom with a crisp 360 x 360 1.5-inch LCD display. There's no release date just yet but we're sure the devoted Tag fans will keep an eye on it. Fresh off an announcement from Honor about its S1 fitness-focused wearable, Huawei decided to reveal the Android and iOS-friendly Huawei Fit for its international audience. The features are nearly the same as the round watch face of the S1, as the Fit sports an aluminium watch body, is waterproof to a IP68/5 ATM rating and weighs only 35g. It'll cost $129.99 in the US with details on the way about UK pricing. The Huawei Fit is launching at the end of November, but a firm date hasn't been set just yet. Fitbit sold quite a lot of devices in the third quarter - 5.3 million to be exact, making it the top dog in wearables. But CEO James Park admitted to production issues building the Flex 2 during the earnings call. This led to shares dropping and the company making less than last quarter - which also means its expected to make less in the coming months. It probably doesn't help that a hearing about Fitbit's heart rate tech is scheduled to move forward.